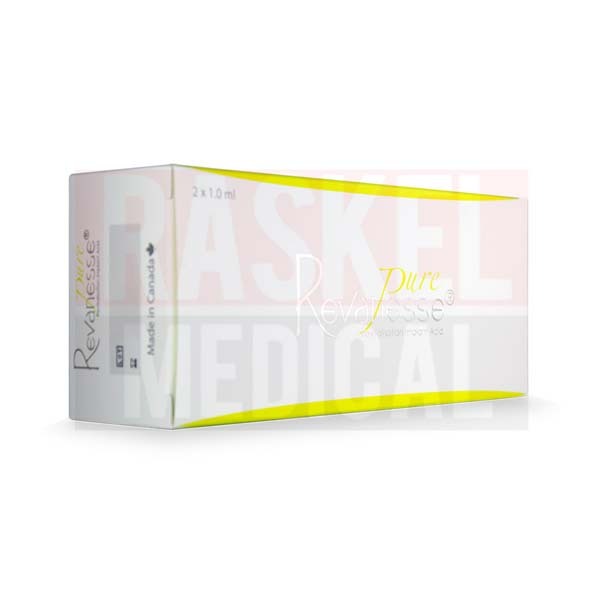 Revanesse Pure is an injectable gel that contains non-crosslinked, synthetic hyaluronic acid. Having bio-revitalizing effects, the injectable delivers deep hydration to improve the complexion. It is used by doctors for rehydrating the face, neck and decollete, and backs of the hands via a mesotherapy technique. Revanesse Pure is a product of the Canada-based Prollenium Medical Technologies, Inc.
What is Revanesse Pure formulated to do? Formulated with 14mg/ml of non-crosslinked hyaluronic acid, Revanesse Pure is mainly used for biorevitalization. The injectable is particularly suitable for patients with sagging skin. 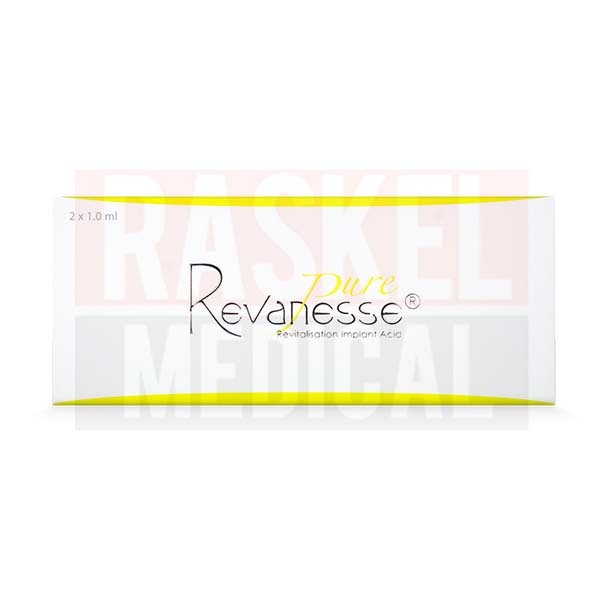 Unlike other injectables from the same range, Revanesse Pure only contains hyaluronic acid that is not cross-linked. It naturally boosts the hyaluronic acid level, deeply hydrating the skin for a more radiant and smoother complexion. As well, this filler can be used to add subtle volume to smooth out fine lines and wrinkles. Containing pure hyaluronic acid of non-animal origin, the injectable gel is unlikely to trigger any immunogenic reactions. Furthermore, the biodegradable formulation will gradually break down, eventually being resorbed by the surrounding tissues. The injectable gel is produced by Prollenium Medical Technologies, Inc. Since its inception in 2002, this Canadian company has been developing and producing medicalgrade fillers and surgical equipment. 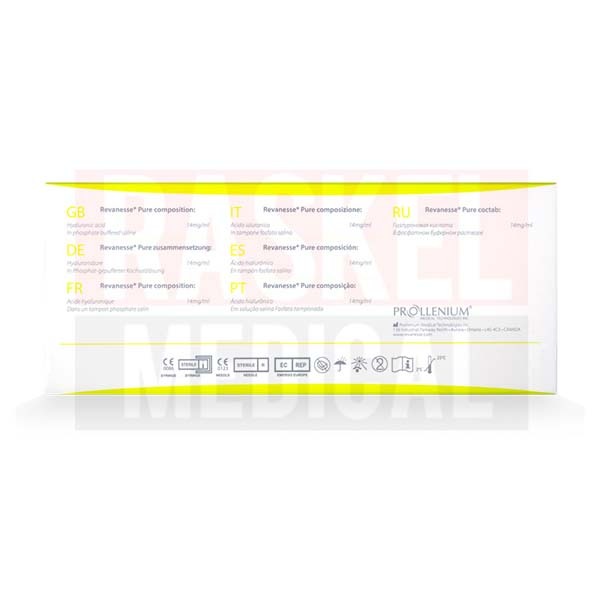 Revanesse Pure is manufactured in Canada by Prollenium Medical Technologies, Inc. The hyaluronic acid is from a non-animal source. When does it cause side effects? Revanesse Pure may cause swelling, itching, tenderness, redness (erythema), pain, and discoloration at the site of injection. These side effects are self-limiting and will resolve themselves within a few days. This biorejuvenating cosmetic filler is contraindicated in patients who are allergic to hyaluronic acid. Do not use the injectable in patients with active inflammatory skin disorders. Apart from that, this injectable should not be used in patients who are predisposed to hypertrophic scarring. Do not use Revanesse Pure in patients who are pregnant or breastfeeding. Revanesse Pure does not contain cross-linked hyaluronic acid. The formulation is packaged in prefilled syringes of 1ml. Inject Revanesse Pure into the superficial dermis. Use the provided needle for the best results. A single treatment will typically take 10 to 15 minutes to complete. Usually, a full treatment consists of 4 injections at monthly intervals. After that, the maintenance can be scheduled based on the patient’s needs. Revanesse Pure can be used on areas such as the neck, decolletage, face, and backs of the hands for skin hydration. The injection should only be performed by suitably-trained health professionals. This injectable contains non-crosslinked hyaluronic acid as its active ingredient. Hyaluronic acid is naturally produced by the body that attracts moisture to keep the skin looking plump and hydrated. The level of hyaluronic acid in the skin declines as people age, resulting in dehydration, a dull and tired-looking complexion, and fine lines and wrinkles. Rich in hyaluronic acid, Revanesse Pure is shown to have rejuvenating effects on the skin. The formulation replenishes the lost hyaluronic acid in the skin, thereby restoring its moisture balance and revitalizing the complexion. As well, patients with superficial lines can benefit from the filler’s mild plumping effects. The gel also contains phosphate buffered saline, a buffer solution that contains sodium chloride. 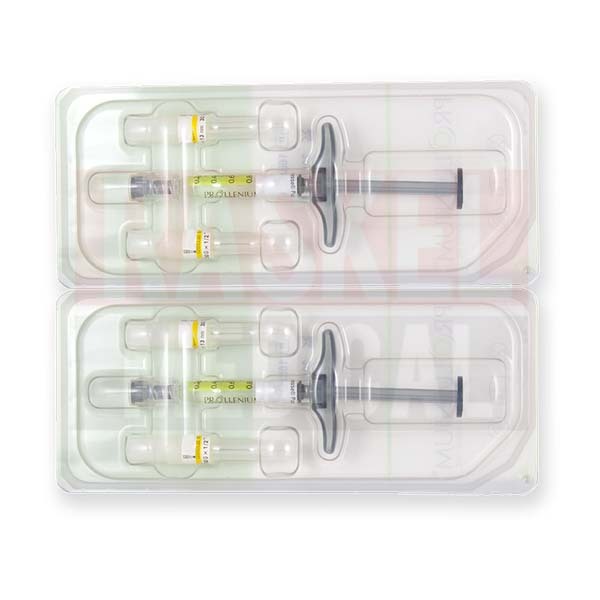 2 prefilled 1ml syringes, each containing 14mg/ml of non-crosslinked hyaluronic acid. Product leaflet, which contains information about the contraindications, use instructions, precautions, storage conditions, and list of ingredients. For longer-lasting results, it is recommended to perform the injection once every month for 4 months. After this period, your patient can return for maintenance treatments as needed. The longevity of the effects can be affected by the age of the patient, their skin condition, and lifestyle choices, such as smoking. Keep Revanesse Pure at room temperature, between 2–25°C, away from heat. Keep out of direct sunlight and do not freeze. Improper storage practice can lead to degradation of the active ingredients. To prolong the shelf life, follow the storage instructions stated above. Do not use Revanesse Pure after its expiration date. Expired injectables may have lost their efficacy, resulting in suboptimal treatment results.